Vanity Fair has released its Hollywood Top 40 Earners List. 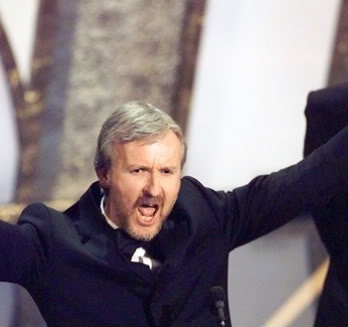 Leading the charge for 2010 was James Cameron made $157 million more than anyone in Hollywood due to the immense success of Avatar, which he wrote, directed, and produced. The film took in $2.8 billion at the box office alone, making it the most successful movie of all time in terms of sheer dollars. Johnny Depp was the highest paid actor, netting $40 million for Alice in Wonderland, $35 million in upfront cash for the next Pirates of the Caribbean, and $20 million for The Tourist. Leo DiCaprio ($62 million) and Christopher Nolan ($71.5 million) can thank each other as Inception helped them both have a stellar year, though DiCaprio also starred in the Scorsese thriller Shutter Island. The Twilight Saga Eclipse love trio all made the list as well, with Taylor Lautner leading the pack at $33.5 million. His earnings include $12.5 million for each half of the upcoming two-part Twilight Saga: Breaking Dawn film. Robert Pattinson raked in $27.5 million, but was bested by Kristen Stewart who earned $28.5 million. The rest of the list is below. Somehow Eddie Murphy keeps pulling in the cash. For a detailed breakdown for this list, including dollar amounts for every movie each person was paid for, head over to Vanity Fair. Are you puzzled by anyone on this list? Does it make you mad that Katherine Heigl keeps making money despite so many terrible movies?